Charlie Day isn’t the only one getting in the mix. 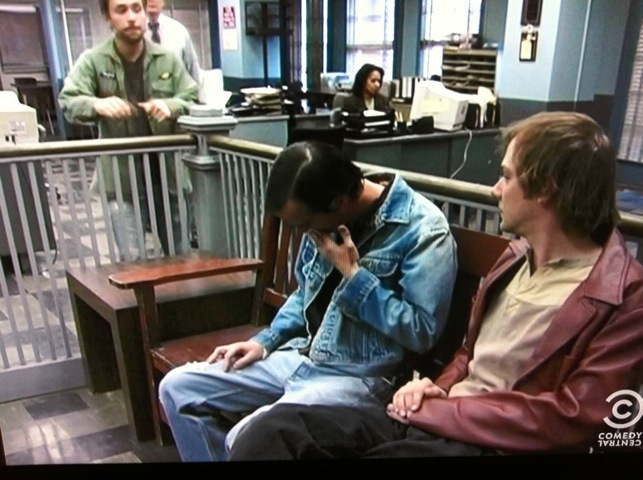 Ryan McPoyle, creepily portrayed by Nate Mooney, was spotted in a Canadian Tuxedo on It’s Always Sunny in Philadelphia. Definite upgrade from that filthy robe he’s typically sporting. 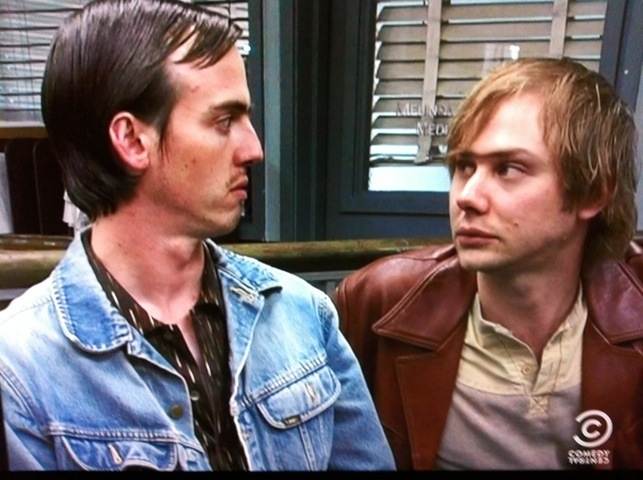 This entry was posted on Saturday, August 20th, 2011 at 9:40 am	and tagged with Charlie Day, charlie kelly, Jimmi Simpson, Liam McPoyle, Nate Mooney, Ryan McPoyle and posted in television. You can follow any responses to this entry through the RSS 2.0 feed.